MANILA, Philippines - (UPDATED) The National Police Commission (NAPOLCOM) activates on Tuesday, August 1, the OnLine Examination Application Scheduling System (OLEASS) for the nationwide conduct of the Philippine National Police (PNP) Entrance and Promotional Examinations on October 22, 2017. The online application schedule is set on August 1–4 for the PNP Entrance exam; August 7–11 for Police Officer (PO) exam; and August 14–18 for Senior Police Officer (SPO); Inspector (INSP) and Superintendent (SUPT) exams. The OLEASS for October 2017 NAPOLCOM exam shall be available through these links: www.napolcom.gov.ph or www.napolcom-oleass.com. NAPOLCOM Vice-Chairman and Executive Officer Atty. Rogelio T. Casurao said that the OLEASS shall be opened at 12:00 NN onwards on August 1 for the Entrance exam, August 7 for the PO exam and August 14 for the SPO, INSP and SUPT exams. NOTE: Acceptance of applications shall be on a ‘first-come, first-served’ basis and, upon due notice, may be stopped even ahead of the deadline. “The OLEASS allows entrance exam applicants to choose the examination center where they want to take the exam regardless of their place of residence. But for the promotional exam applicants, the examination center is automatically assigned by the computer system based on the unit/assignment address provided by the police applicants,” Casurao said. NAPOLCOM said that only applicants with a confirmed scheduled appointment with reference number shall be entertained. The period of filing of application is from August 29 to September 25, 2017. The PNP Entrance Examination is open to all Filipino citizens who are not more than 30 years old, bachelor’s degree holder, and 1.57 meters (female) and 1.62 meters (male) in height. Police Officers I (PO1) whose appointments are temporary for lack of appropriate eligibility are also required to take the PNP Entrance Examination. On the other hand, the Promotional Examinations are open exclusively to all qualified uniformed members of the PNP who meet the minimum qualification standards for examination in terms of rank and eligibility. Application forms and index cards can be obtained for free at any NAPOLCOM Regional Office nationwide. They may also be downloaded from www.napolcom.gov.ph. Civilian applicants must bring the printed letter-reply/corresponding reference number confirming the scheduled appointment; two recent, identical and color 1”x1” ID pictures with white background and complete name tag (for PNP members, the name tag should indicate the rank before the name); one legal size window envelope with P17 worth of mailing stamp; transcript of scholastic record with Special Order issued by CHED and diploma; and birth certificate in security paper issued by the Philippine Statistics Authority (PSA) or certified true copy of the birth certificate issued by the Local Civil Registrar and duly authenticated by the PSA. For a PO1 with temporary appointment, a certified true copy of Attested Appointment, Plantilla Appointment or Special Order is also required for submission. Applicants for the Promotional Examinations should submit the first three requirements mentioned above; a certified true copy of Attested Appointment, Plantilla Appointment or PNP Absorption Order; and a Report of Rating/Certification issued by the NAPOLCOM Central Office, CSC Certificate of Eligibility and/or PRC Board Certificate. “Only duly accomplished application forms with all the required documents filed personally and received by the NAPOLCOM Regional Office on or before the deadline for filing are accepted. Applications received through postal mail shall not be processed,” Atty. Casurao said. Applicants who failed in these examinations and decided to apply again for the same test category in the same exam center shall submit only the Admission Slip of the last exam applied for; fill out a new application form and index card with ID pictures; and pay the examination fee. Examination fee is P400 for the PNP Entrance and Police Officer exams; P450 for Senior Police Officer exam; P500 for Police Inspector exam; and P600 for Police Superintendent exam. PNP Entrance exam covers the following: General Information (Philippine Constitution and History, Philippine Law and History, Criminal Justice System, Current Events, Social Awareness and Value Judgment); Verbal Reasoning (Vocabulary, Comprehension and Grammar); Quantitative Reasoning (Basic Concepts and Problem Solving Skills) and Logical Reasoning (Verbal and Non-verbal). Promotional examination tackles questions on general information, police administration, police operations, values and ethical standards. Detailed exam coverage can be found here. 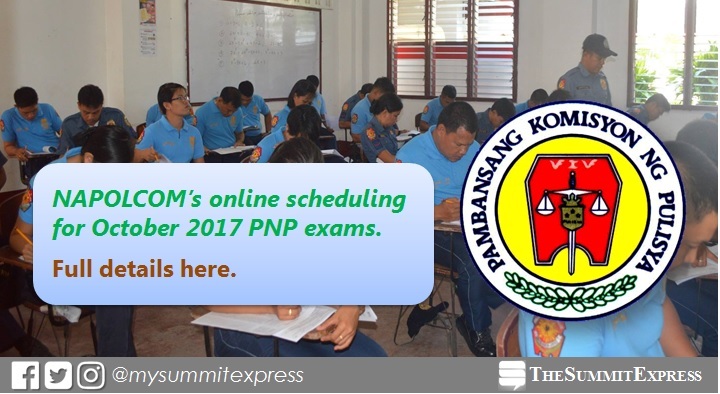 The Summit Express, which constantly provides updates for government examinations, will also post on this site the results of October 2017 NAPOLCOM exam. Bookmark this page for regular updates. It's a SOUPrisingly good soup to warm you up this rainy season! Marian Rivera and Chef Nino Logarta (center) introduce new Mega Prime Rainy Day Souprise recipes. MANILA, Philippines - If cold beverages are the best companions to hot summer days, nothing beats a warm bowl of soup this rainy season. As a well-loved Pinoy comfort food, we cannot help but be reminded of intimate family get-togethers, mom’s delicious home-cooked meals and happy conversations around the dining table. Among the many soup dishes, nothing can come close to the goodness of classic vegetable soups. With Mega Global Corporation’s canned vegetable line- Mega Prime Quality, new and easy-to-cook soup recipes were introduced recently at the Enderun McKinley Hill in Fort Bonifacio, Taguig City. “We believe that rainy days are opportunities to foster closer family ties through good food, particularly a hot and hearty bowl of soup. To give them more recipe options, we are introducing new soup recipes using Mega Prime Mushrooms,” said Raymund Alegre, Brand Manager of Mega Prime and New Product Developments. Dubbed as “Rainy Day SOUPrise,” the event featured a cooking demo by Chef Nino Logarta and Prime Mom Marian Rivera where they prepared a soup dish using Mega Prime Mushrooms. Alongside the cooking demo, the event also served as an avenue for the attendees to showcase their culinary talents. It featured the Mega Prime Mystery Box Challenge that pitted four, pre-selected teams, who prepared their own version of a Mega Prime Mushroom recipe. Mega Prime Quality products are made with real, high-quality ingredients, which makes every soup dish richer and more flavorful. It is the ideal partner of moms as it makes cooking one-step easier since they all come in easy-open cans. Behind every Prime Mom throughout the years, Mega Global Corp., a leading manufacturer of high-quality canned goods, continues to strengthen family relationships as it brings out not only the best soup dishes and recipes but also, the most noteworthy conversations during every salu-salo. MANILA, Philippines - Jona Marie Soquite of Team Sarah was named the first-ever grand champion of "The Voice Teens," the hit singing reality show announced during the results night on Sunday, July 30. Jona, who sang "I Believe I Can Fly" in the power ballad round, garnered the highest percentage of combined text and online votes, 44.78%, to beat other three artists - Mica Becerro of Team Lea, Isabela Vinzon of Team Bamboo and Jeremy Glinoga of Team Sharon. Mica, Isabela and Jeremy got 17.79%, 22.42% and 15.01% of the votes, respectively. WATCH: The Voice Teens Philippines Grand Finale: Jona Soquite - "I Believe I Can Fly"
Jona brings home a fashion package, a business package, a dental service package, P1 million cash, P1 million worth of trust fund, P2 million life insurance plan, and a brand new house and lot. "Sobra akong proud sa iyo. Dicipline and humility are true traits of a champion," Coach Sarah told Jona. The contesera artist is driven by her dream to provide a new home for her family who lives by a river. She used everything her singer father and coach Sarah have taught her in order to win. The youngest artist in the competition, Jona has already shown she does not back down from any challenge by performing songs that showcase her versatility. The Tabing Ilog Sweetheart of Davao has also consistently received praises for her heartfelt singing. MANILA, Philippines - The first-ever grand champion of "The Voice Teens" Philippines will be named tonight, July 30, at the ABS-CBN Studio in Quezon City. Those who will not be able to watch on TV may view online through the official livestream video of the results night. Viewers are set to choose who among Team Lea’s Mica Becerro, Team Sarah’s Jona Soquite , Kamp Kawayan’s Isabela Vinzon, and Team Sharon’s Jeremy Glinoga will be hailed the season’s winner. The champion will bring home a fashion package, a business package, a dental service package, P1 million cash, P1 million worth of trust fund, P2 million life insurance plan, and a brand new house and lot. NOTE: Filipinos overseas can also watch it live on tfc.tv/Voice. On Saturday's live performance night, the four artists battled in the duet with their coach and an upbeat performance rounds of the competition. Coach Sarah and Jona sang Dianne Reeves' "Better Days," which received good remarks from netizens. Coach Lea and Mica had the 'best duet of the night' as they sang Celine Dion and Andrea Bocelli's "The Prayer." The soothing and lovely voices of Coach Sharon Cuneta and her bet Jeremy Glinoga prevailed on the ultimate showdown, as they sang "I'll Never Love This Way Again." Meanwhile, Coach Bamboo and Isabela impressed the viewers with their version of "Kapayapaan." 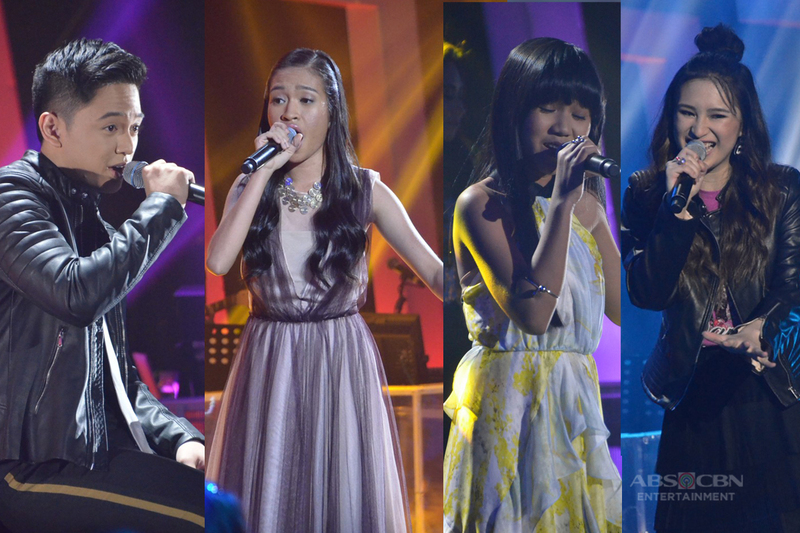 Mica, Jona, Jeremy and Isabela will clash one more time in the power ballad round that will be their finale song. Public votes - text and Google - will be combined for the two-day round of competition to determine the next singing superstar. Who's your bet to win the much-coveted The Voice Teens title? Tell us your thoughts. 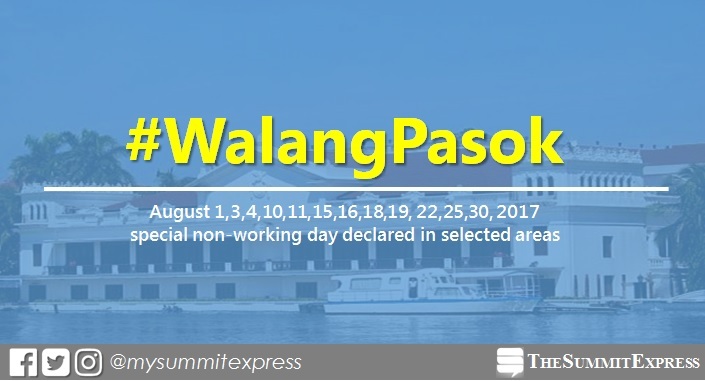 MANILA, Philippines - Aside from the widely published list of holidays in the country, the Malacañang Palace has also declared special non-working holiday in selected areas for the celebration of local events. As announced, there will no classes and work for specific day on the following dates: August 1,3,4,10,11,15,16,18,19, 22,25,30, 2017. Local holidays were proclaimed by President Rodrigo Roa Duterte through Executive Secretary Salvador C. Medialdea. Proclamation numbers 253, 262, 265 to 268 and 271 to 280 declare special non-working day in the following areas: Kawit, Cavite; Kapalong, Davao del Norte; Compostela, Compostela Valley; Tacurong, Sultan Kudarat; San Pascual, Batangas; Cabuyao, Laguna; Gumaca, Quezon; Samar Province; Bulacan Province; Tuguegarao City; Naga City; Davao City; Angono, Rizal; Liloy, Zamboanga del Norte; Iloilo City and Isulan, Sultan Kudarat. Observances and celebrations include foundation day, cityhood anniversary and festival. Note that such holidays are applicable only to the immediate area concerned. Proclamation No. 253: Celebration of 80th Charter Day in the City of Iloilo on Friday, August 25. Proclamation No. 262: Celebration of Lorenzo Tanada Sr. Day in Gumaca, Quezon on Thursday, August 10. Proclamation No. 265: Kawit Day (Cavite) celebration on Tuesday, August 1. Proclamation No. 266: Celebration of 69th Foundation Day and 11th Buganihan Festival of Compostela, Compostela Valley on Tuesday, August 1. Proclamation No. 267: Celebration of 5th Cityhood Anniversary of Cabuyao City, Laguna on Friday, August 4. Proclamation No. 268: Celebration of Foundation Day of the Province of Bulacan on Tuesday, August 15. Proclamation No. 271: Celebration of 69th Foundation Day of the Municipality of Kapalong, Davao del Norte on Tuesday, August 1. Proclamation No. 272: Celebration of Pavvurulun "Afi" Festival of the city of Tuguegarao on Wednesday, August 16. Proclamation No. 273: Celebration of Kadayawan Festival in Davao City on Friday, August 18. Proclamation No. 274: Commemoration of death anniversary of former Department of Interior and Local Government (DILG) Secretary Jesse M. Robredo, who was died in a tragic plane accident, on August 18. Special non-working holiday declared in Naga City, where he is considered one of the local heroes due to his dedication serving as Mayor from 1988 to 1998 and 2001 to 2010. Proclamation No. 275: Province of Samar commemoration of independence from Leyte and Cebu on Friday, August 11. Proclamation No. 276: Celebration of 66th Foundation Anniversary in the city of Tacurong, Sultan Kudarat on Thursday, August 3. Proclamation No. 277: Celebration of 48th Foundation Day of the Municipality of San Pascual, Batangas on Friday, August 4. Proclamation No. 278: Angono Rizal's signing of its independence from the municipality of Binangonan on Saturday, August 19. Proclamation No. 279: Celebration of 66th Foundation Day in the Municiplaity of Liloy, Zamboanga del Norte on Tuesday, August 22. Proclamation No. 280: Celebration of 60th Foundation Day and 6th Humungaya Festival in the Municipality of Isulan, Sultan Kudarat on Wednesday, August 30. Malacañang Palace said that it is proper that the people on the said areas be given full opportunity to celebrate and participate in the occasion with appropriate ceremonies. As defined in the Administrative Code of 1987, Book III, Chapter 2, Section 4, Proclamations are "acts of the President fixing a date or declaring a status or condition of public moment or interest, upon the existence of which the operation of a specific law or regulation is made to depend, shall be promulgated in proclamations which shall have the force of an executive order." 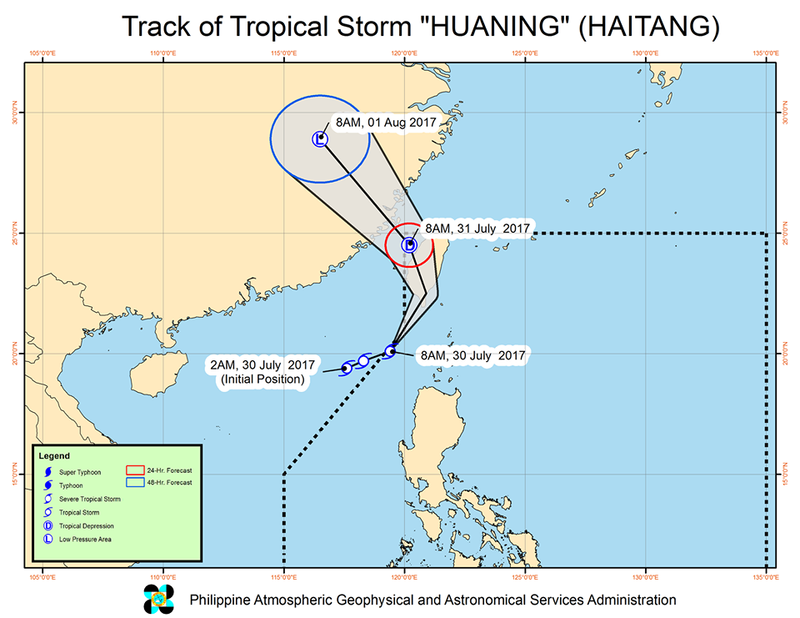 MANILA, Philippines - A tropical storm with international name "Haitang" has entered the Philippine Area of Responsibility (PAR) and was named "Huaning," state weather bureau PAGASA announced in its 11:00 am bulletin on Sunday, July 30, 2017. At 10:00 a.m. today, the center of 'Bagyong Huaning' was estimated based on all available data at 250 km West of Basco, Batanes (20.2°N, 119.6°E). The eight cyclone to enter PAR this year has maximum sustained winds of up to 75 kph near the center and gustiness of up to 90 kph. It is forecast to move Northeast at 22 kph. Tropical cyclone warning signal (TCWS) No. 1 (30-60 kph expected in 36 hours) was raised in six areas: Batanes, Ilocos Norte, Ilocos Sur, Apayao, Abra and Northwestern Cagayan including Babuyan Group of Islands. Twigs of small trees may be broken. Rice crops, however, may suffer significant damage when it is in its flowering stage. Wave Height: (Open Sea) 1.25-4.0 meters. The estimated rainfall amount is from moderate to heavy within the 500 km diameter of the Tropical Storm. Same with the previous storm Gorio, 'Bagyong Huaning' will continue to enhance the Southwest Monsoon which will bring moderate to occasionally heavy rains over the western section of Northern and Central Luzon. Residents in these areas are alerted against possible flashfloods and landslides. 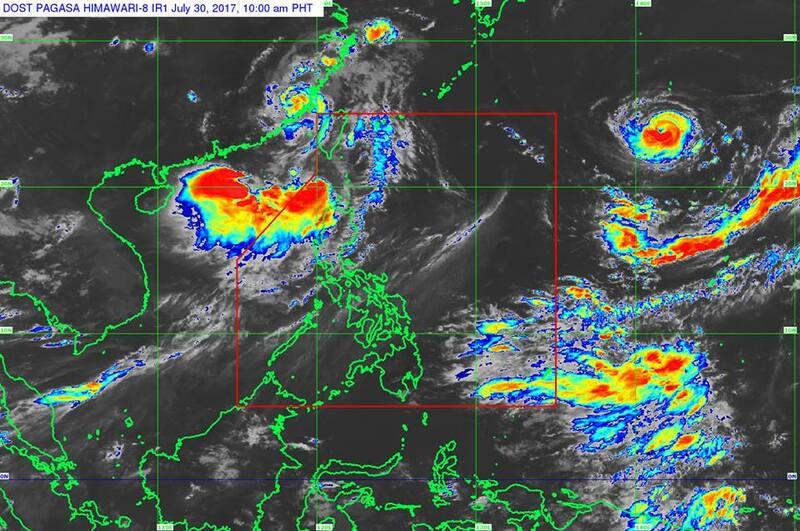 Sea travel remains risky over the seaboards of Northern Luzon and the western seaboard of Central Luzon. "Huaning" is expected to make landfall over Southern Taiwan tonight. MANILA, Philippines - Coach Sarah Geronimo and her bet Jona Marie Soquite mesmerized the viewers and judges with their duet performance on "The Voice Teens" Grand Finals on Saturday, July 29. Screenshot from YouTube video/ The Voice Teens Philippines. Coach Sarah and Jona sang Dianne Reeves' "Better Days," capturing the better chance to win the title. "Great song choice. I enjoyed watching this. That was sweet. And Jona, the clean delivery, that's your strength," Coach Bamboo said. "Wow. Pet-ma-lu as in malupet. Kitang-kita ang development mo. You came to play and that was awesome," Coach Lea Salonga commented. Aside from Jona, Isabela Vinzon from Kamp Kawayan, Jeremy Glinoga from Team Sharon Cuneta and Mica Becerro of Team Lea Salonga are hoping to be named the first-ever "The Voice Teens" Grand Champion. Finalists also battle for upbeat performance, and a power ballad that will be their finale song. Who will bring home a fashion package, a business package, a dental service package, P1 million cash, P1 million worth of trust fund, P2 million life insurance plan, and a brand new house and lot? The winner will be announced on Sunday, July 30. MANILA, Philippines - The soothing and lovely voices of Coach Sharon Cuneta and her bet to win the first-ever "The Voice Teen" grand champion Jeremy Glinoga prevailed on the ultimate showdown on Saturday, July 29. Coach Sharon and Jeremy sang Dionne Warwick's "I'll Never Love This Way Again" in the duet with the coach round of the grand finals. "That was lovely and pleasant. The night is long. For me it's lovely but I wanted more," Coach Lea Salonga said. "Para sa akin napaka-sincere ng performance ni Coach Sharon and Jeremy. Si Jeremy, very talented and good-looking young man," Coach Sarah Geronimo said. Aside from Jeremy, Isabela Vinzon from Kamp Kawayan, Jona Marie Soquite from Team Sarah Geronimo and Mica Becerro of Team Lea Salonga are hoping to be named the first-ever "The Voice Teens" Grand Champion. MANILA, Philippines - Lea Salonga and finalist Mica Becerro wowed with their duet with the coach performance during the grand finals performance night on Saturday, July 29. "Grabe, gusto ko maiyak after ng performance. Sobra akong maiinggit. Kasi perfect. Si Mica naman, wala akong ibang maisip na ibang artist who is best to represent Team Lea," Coach Sarah has commented. "What a performance. That was beautiful. Congratulations sa inyong dalawa," Coach Bamboo said. "Ako, gusto ko sumali kahit third voice. Coach Lea kasi complementing the voice of Mica. Talagang napakaganda ng pagka-kanta mo Mica," Coach Sharon told the duo. Aside from Mica, Isabela Vinzon from Kamp Kawayan, Jona Marie Soquite from Team Sarah Geronimo and Jeremy Glinoga of Team Sharon Cuneta is hoping to be named the first-ever "The Voice Teens" Grand Champion. Finalists also battle for upbeat performance and a power ballad that will be their finale song. The grand winner will be announced on Sunday, July 30. MANILA, Philippines - Bamboo Mañalac with his bet Isabela Vinzon impressed the viewers on their duet with the coach performance during the grand finals performance night on Saturday, July 29. Coach Bamboo and Isabela kicked off the grand showdown round as they sang "Kapayapaan." "Tamang-tama lang kasi babae siya na nagra-rock. Kitang-kita mo ang contrast. That was great!," Coach Sharon has commented. "That was a great way to start this grand finals. You are one of my favorites. Ang galing mo lang and you stay true to your self and ang galing mo lang," Coach Lea Salonga said. "Grabe lang, ibang experience whenever nagpeperform si coach Bamboo. Very contrast kayo," Coach Sarah Geronimo told them. Aside from Isabela, Mica Becerro from Lea Salonga, Jona Marie Soquite from Team Sarah Geronimo and Jeremy Glinoga of Team Sharon Cuneta are also hoping to be named the first-ever "The Voice Teens" Grand Champion. Microsoft founder Bill Gates has just been unseated by Amazon founder Jeff Bezos as Forbes magazine’s world’s richest person. But not for too long as the 53-year-old businessman’s stint as the wealthiest individual on Earth ended as Amazon’s stock goes down by 2 percent in after-hours trading due to earnings miss. Less than 24 hours after he became world’s richest person, Bezos was back at second place, while Gates hold onto the title. Earlier, Bezos, with a net worth of $90.5 billion, has overtaken Gates in the magazine’s real time tracking of personal fortunes. The increase in the share price of the US tech giant allowed Bezos to top the magazine’s annual rankings. Amazon shares have increased up to 1.7% at $1070.72 and were up by about 24% for the past four months. 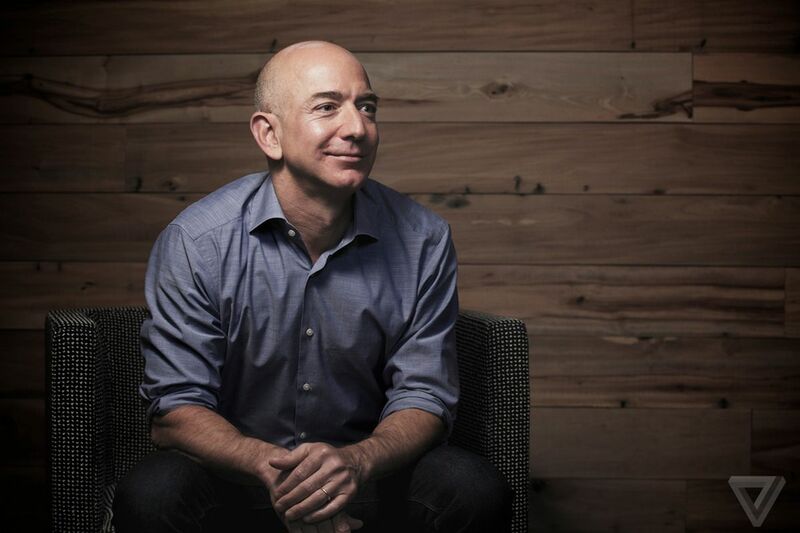 As a result, a total of $17 billion was added to Bezos’ net worth. Currently, Bezos owns 17 percent of the equity of Amazon. Through the years, the online retailer giant transformed into a diversified tech firm in artificial intelligence, computing hardware, online video, as well as cloud computing. Amazon has recently revealed its plans to acquire US grocer Whole Foods. Aside from Amazon, Bezos also owns a private space firm called Blue Origin and the Washington Post newspaper. Although Bezos didn’t last the day as the wealthiest man, he is expected to take the title from Gates more permanently in the next days or weeks. In that case, Bezos will become the first man to knock Gates from his perch in seven years and the sixth man to hold the “richest person” title in the past 30 years. For the past four years, Gates has consistently been named the richest person by Forbes’ magazine. The billionaire-philanthropist also secured the top spot 18 times for the past 22 years. It was Mexican telecom magnate Carlos Slim who snatched the title from Gates from 2010 to 2013. 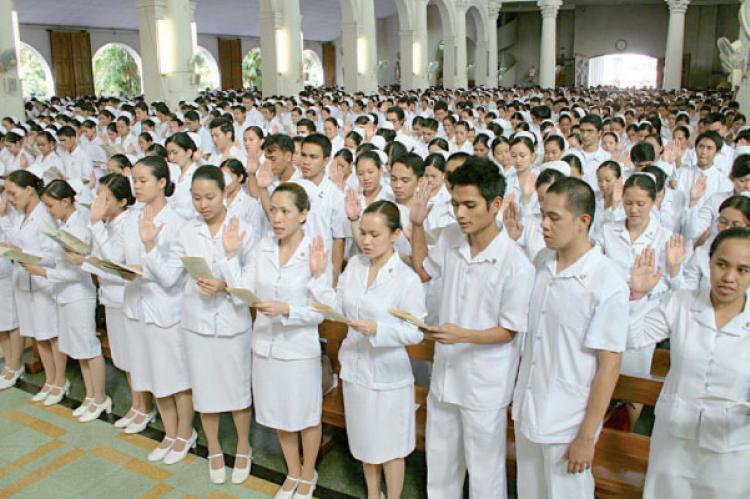 MANILA, Philippines - Recruiters from the United Kingdom (UK) and the United Arab Emirates (UAE) have recently announced that they are in need of at least 100,000 Filipino registered nurses to fill the increasing demand for health care workers in their countries. Both countries prefer Filipino nurses because of their skills, attitude and values when it comes to work. In the United Kingdom, there are about 80,000 vacancies for registered nurses as a result of the Brexit. Many of their nurses are either retiring or returning back to their home countries, according to Kings Commercial recruitment chief Matthew Richards. Richards disclosed that one-third of their nursing population will be retiring or leaving the occupation in the next 15 years. However, they find it difficult to entice people into the nursing profession because of political influences such as Brexit. He added that most British hospitals opt to hire Filipino workers because of their talent in tending to patients. “Nurses in the Philippines have a general caring nature, provide a high level of empathy and compassion towards patients,” Richards explained. Nurses in the UK earn about P110,000 monthly. Employers usually shoulder flights to the UK, accommodation and meal vouchers. Pinoy nurses also get 27-day leaves to travel back to the Philippines or visit other countries. In addition, registered nurses in the UK can bring their families with them and have access to free health care and education provided that they can show evidence that he or she can support the family. Interested applicants must take English language proficiency tests and practical examinations. Moreover, they need to adjust to the British nursing culture, which is evidence-based nursing. Meanwhile, at least 20,000 registered nurses will be hired in Dubai alone as the emirate intends to open 15 more hospitals in the next three years. Nurses in Dubai have a starting salary of P100,000 monthly, which is tax-free. Some established hospitals offer free accommodation as well as guaranteed salary increments every two years. Migrant workers are give 30-day annual leave, sick leaves, and overtime pay. MANILA, Philippines - The Professional Regulation Commission (PRC) officially announced on Friday, July 28, the full results including the list of passers, topnotchers and performance of schools for July 2017 Master Plumber board exam. A total of 798 out of 3,141 (25.41%) passed the Master Plumber Licensure Examination given by the Board for Master Plumbers in Manila, Baguio, Cagayan De Oro, Cebu, Davao, Iloilo, Legazpi and Tacloban. Mapua Institute of Technology (MIT) - Manila graduate Kim Aldrin Sarra Mejia topped the board with 82.20%. It was followed by Richard San Luis Garcia from Technological University of the Philippines (TUP) - Manila and Jerod Bariquit Ravago of University of San Carlos (USC), both having 81.60. Albe Cantor Solano, University of Nueva Caceres (UNC) alum ranked third with 80.90. Malayan Colleges Laguna and University of the Philippines (UP) - Diliman were named as the top performing schools as per Commission Resolution No. 2010-547 series of 2010: WITH 5 OR MORE EXAMINEES AND WITH AT LEAST 80% PASSING PERCENTAGE. From August 2 to August 3, 2017, registration for the issuance of Professional Identification Card (ID) and Certificate of Registration will be done on-line. Please go to www.prc.gov.ph and follow instructions for initial registration. Those who will register are required to bring the following: Notice of admission, duly accomplished Oath Form or Panunumpa ng Propesyonal, 2 pieces passport size pictures (colored with white background and complete name tag) and 2 sets of documentary stamps. Successful examinees should personally register and sign in the Roster of Registered Professionals. Is it really possible to work from home and be productive at the same time? Many companies resist the idea of letting their employees work from home because of its bad reputation. A lot of people believe that working from home is just a means to escape hard work by being out of sight from the management’s watchful eyes. Some say that working from home makes an employee less productive as distractions and temptations are found in every corner of their house. But apparently, a two-year study carried out by a company in Singapore says otherwise. 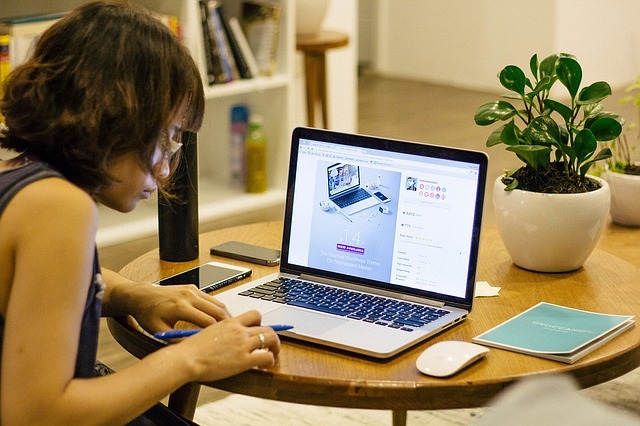 Stanford Professor of Economics Nicholas Bloom during his TED Talk revealed that working from home can be as “powerful and innovative as the driverless car”. In the study, a Singapore company made half of its staff work from home for four days a week. Meanwhile, the other half were made to report to the office five days a week. Results showed that those who worked from home experienced “massive, massive” increase in productivity. In fact, their productivity was equivalent to an additional workday mainly because of lesser distractions and nonsense conversations. Additionally, employees who worked from home had the tendency to stay in their jobs longer and thus, decreasing employee turnover. As a result, management productivity becomes higher while expenses for loss of skills and connection when an employee resigns is reduced. Work-from-home employees were also found to be happier and healthier decreasing the company’s overall health care expenses. Because of the results of the experiment, the company then instituted work-from-home throughout the entire company. As a side benefit of this decision, the company was able to grow without adding office space that entails additional cost. The billing for “Finally Found Someone” alone already draws enough attention that any promos and marketing for the project feel superfluous. But director Theodore Boborol went beyond than relying on the star power his film has and actually crafted something that feels familiar in all the right ways, yet oddly different. In the history of Philippine cinema, there have been iconic love teams that have come and gone with only a few having the sustainability to maintain fan interest. 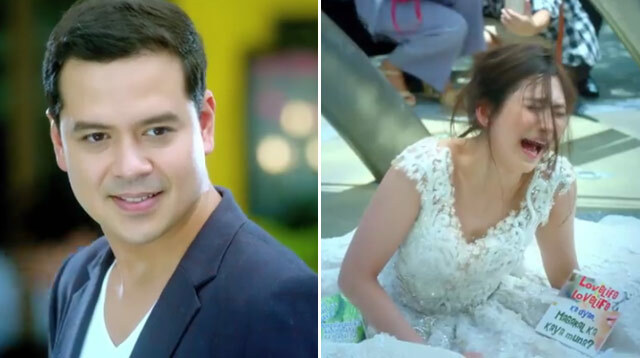 And while John Lloyd Cruz and Sarah Geronimo aren’t wrapped up in the fantasy of having a real-life romantic relationship, the public continues to buy their tandem. Why? Simply because of their palpable chemistry. “Finally Found Someone” which was originally titled “Dear Future Husband,” tackles the story of April (Geronimo) - an idealistic woman whose dream is to settle down with the love of her life. But when she gets ditched by her fiance at the day of her wedding, fate brings her Raffy (Cruz), a career-driven guy who is burdened by familial issues. The two develops a unique friendship that eventually helps them to overcome their respective hang-ups in life. Arguably one of the biggest (if not the biggest) challenge for Boborol is to pluck Geronimo and Cruz from their Laida and Miggy personas respectively and plug them to their new characters without people feeling like they are just watching part 4 of the “A Very Special Love” franchise. After three mega-hit films from that series, the two actors have become synonymous to those roles - a feat which is especially highlighted when you bring them back together for another rom-com movie. Interestingly, instead of shying away from everything that Cathy Garcia-Molina built on, he capitalized on them and infused it with his own style for a social status cliche-free love story. The characters are both relatable (it was fun to see Cruz’s character actually having to deal with monetary struggles and Sarah’s character to not be too exaggeratingly jovial) resulting to fans actually seeing themselves in the actors instead of wanting to be them. The very basis of the story is something we have never or rarely seen before, it quietly simmers and it takes actual time to get to a point that both Raffy and April are already struggling to keep their emotions in check. Their relationship progress is as important as their individual journeys to finding love, making the narrative more realistic. Oftentimes, romcoms depend too much on the meet-cutesys, the “courtship” that follows right after it and the introduction of the antagonistic element that will keep the lovers apart. But “Finally Found Someone” gets more creative than that. It delves deep into the meaning of love, the kinds of love and most importantly, the correct kind of love. It explores the notion of infatuation and too much romanticism - which is ironic in a way that yes, this is still a straight-up romantic story. But its well-developed roster of supporting characters and supporting stories definitely makes it feel more organic than forced helping fans not to be overly blinded by the sweeping love stories media sometimes tend to project it to be.